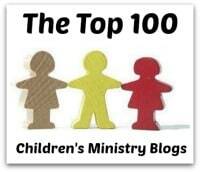 It has been 10 years since God called me to ministry. Man what a decade that has been. It has taken me so many places and allowed me to do so many things. It has brought me blessings far beyond anything I could have ever imagined. Here is the story of how it all started. The year was 2007 and things were going great. That’s more like it. Now on to the real story. The year was 2007 and things were going great. I had a great house with a 3 car garage and a pool. I was driving around in a shiny new Chevy Silverado and had a 1987 Chevy Camaro Iroc-Z for the weekend. I know these two cars may not seem that great to everyone, but I’m a Chevy guy so this was pretty cool. I had a successful nursing career that was rising rapidly. I had a wonderful wife, far better than I deserve and great little son. Life was good! Here I was minding my own business, doing my church thing. Like any good baptist, sitting in the same exact spot that I sat every Sunday for years. Then all of a sudden God spoke. Now I’m not talking about an audible voice telling me that I needed to go have a chat with Pharaoh about freeing the Israelites, but I was no less certain that God was talking than if I had heard his voice. As I stood there listening to the praise team sing and play I knew that there was no way I could stay in that spot. It was almost like involuntary motion as I found myself leaving my spot and walking towards the pastor. I remember my wife giving me a look, obviously wondering what was going on, where I was going. I walked up to the pastor and told him that God was calling me to ministry. I distinctly remember gripping the back of the chair in front of me, trying to keep from going up front, but I simply couldn’t. God was getting ready to change my life, and it started with the first step I took into the aisle. I can’t say that I ever felt a call on my life prior to that, but as I stood there in my spot, it was completely clear what God wanted me to do. Not only had I never felt such a call, I had always felt that I was where God wanted me. God had guided each of the steps that had led me to this successful career and He had blessed that career in a mighty way. Yet now He was calling me in a completely different direction. I could never have guessed what the never decade would look like. I could never have guessed the paths this call would take me down. I would never have guessed that what started in this moment would the me 500 miles from the only place I had ever called home… and 13 months later bring me back. I could not have anticipated all the children and families that God would allow me to work with. I could not have guessed the many children’s ministry leaders that God would connect me with, many of whom would become my friends. The truth is that we can never really see where the path God takes up down will lead us. In fact, thats not even for us to worry about. It’s kind like when Aladdin holds out his hand and asks Jasmine, “Do you trust me?” She chose to trust him and the result was a magnificent ride on a magic carpet. Because she trusted Aladdin she got to see things and go places she had never before and, likely, never would have. The same is true of us, when we chose to trust God to lead us, and we follow Him. This has certainly been true for me over the past 10 years and I can’t wait to see what the next 10 years look like.